MUKTI is a non-profit socio-economic organization working for needy people of Sunderban for last 15 years. Many of our well-wishers do visit the fields and wish to do so more. MUKTI has come up with an unique idea to give you the chance to be part of this mission along with fun. 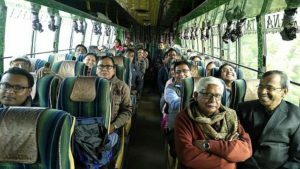 The tour comprise of organic vegetable farm visit, exhibitions by villagers and finally in Sunderban Bonni Camp Tiger Observatory for a day. 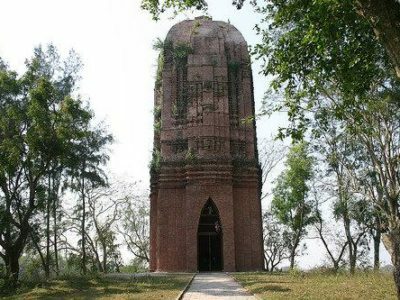 The famous ancient temple made of bricks dated around 11th century A. D. It raise many questions about who actually made it and if there is any flourishing civilization in this part of Bengal. Sunderban is famous for its various local fish & seafood. Satisfy your taste buds with Pithe-Puli along with date molasses made by village women. 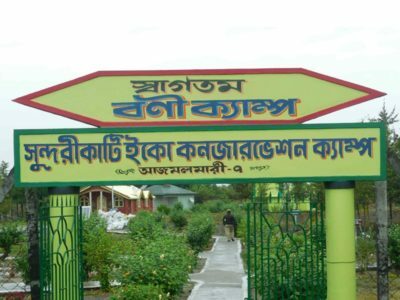 Visit the unique Sunderban exhibition based on theme of HEALER concept of MUKTI. 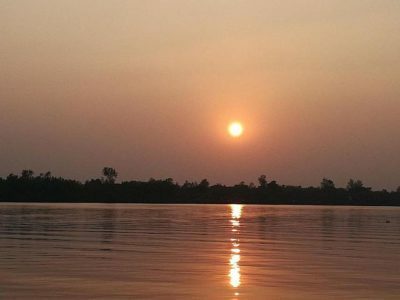 It is an unique opportunity to witness the wonders made by people of Sunderban. What could be more exciting to see a tiger just from a stone throw distance while you enjoy the tour along with your family under the comfort of a modern boat. Have a day out within the vast mangrove forest of Sunderban while having home-made organic food with an essence of freshness and purity. 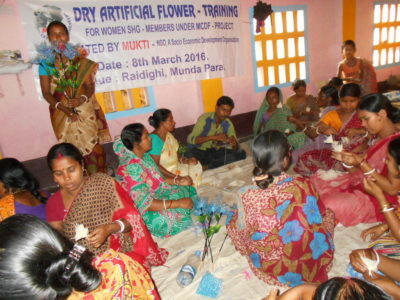 Meet the women entrepreneurs as part of Self-Help group, supported by MUKTI Community Development Fund Program (MCDF). Check out what they’ve made for you. 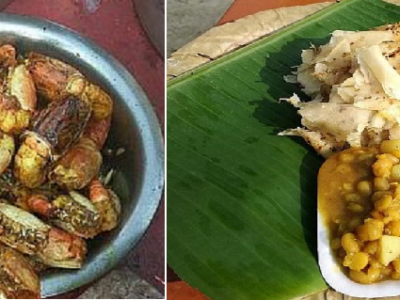 While you relax on boat and enjoy the scenic beauty of Sunderban delta and archipelago, variety of popular seafood of Sunderban will be served right before you on the boat itself. 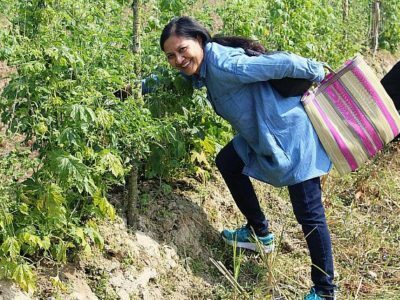 Visit the organic vegetables farms made by certified organic farmers of Sunderban, trained by MUKTI. 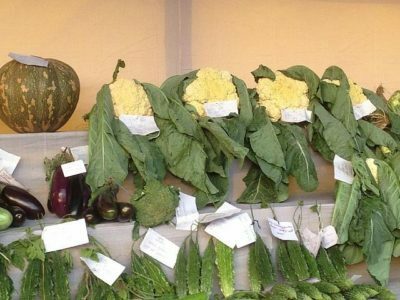 Pick your own organic vegetables of your choice. 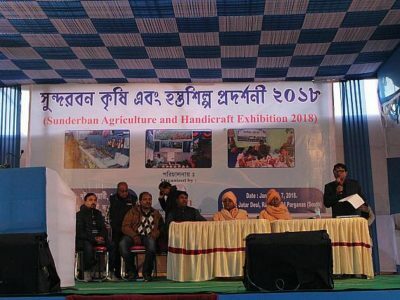 Participate in social seminars, as part of Sunderban exhibition organized by MUKTI and flourish your valuable thoughts & ideas to shape our future. What is Sunderban tour for a cause? 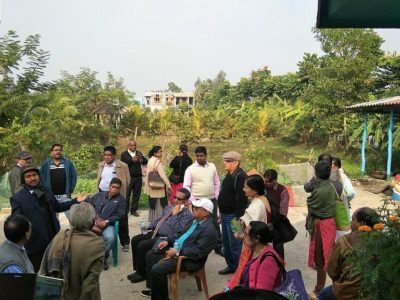 The tour comprise of field visit, exhibitions by villagers and finally in Sunderban for a day. Do I needed to be registered volunteer to join this program? Not necessarily, but MUKTI encourage like-minded people who wants to give back to society. Does it incur any cost? Yes it does. Please follow the link below to see latest brochure to know the price details. How long the trip is? What are the things included in this cost? If you opt for full package, it includes to & from transport from Kolkata (from specific pick-up point), Local transport in Sunderban, 2 dinners, 3 lunch, 2 breakfasts, boat tour to forest safari, hotel accommodation. It may be depending upon various conditions. Please contact us to know more about this. I do not want to go for all 3 days. Will it be possible? Yes, that is possible. You can plan your trip in your own way with available items and price. For example, following will be price breakups – Transportation (to/form Kolkata) – ₹1000, Breakfast ₹250, Lunch/dinner – ₹500, Hotel room per night – ₹1500, Safari (incl. breakfast, lunch, boat, govt fees) – ₹2000. Can I have the itinerary please? Is the any menu available for foods which will be offered? 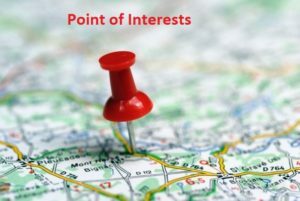 How can I know the various exhibition details? Can I include my family members for this tour? I am interested for this tour with a cause. What is the next step? Please call anyone of the below person to check availability. Accordingly your tour will be arranged. Is there any volunteering opportunity? Yes, it is. However, you have to pay for transportation, food, hotel stay etc. Based on your choice you can select what you want. Will there be any tax benefit? 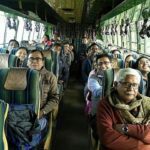 When our bus ( courtesy Mukti ) reached our hotel at Raidighi smiling faces greeted us, we were guided to our rooms and and we were pleasantly surprised to find that the staying arrangements planned were far far beyond our expectations. Getting refreshed within an hour or so we were now feeling a bit hungry . We were shipped in groups to a nearby farm house where incidentally one old age home was also located . It was here where arrangement had been made for our food for our total stay and the experience what we gained here will be remembered for years. Delicious Bengali gourmet served by young ladies who sincerely want you to eat and you can expect the amount we ate.. it was the same story on all days.